I don’t think there is any other occasion when Granville Island transforms into an intimate party where guests get to stroll around the Market, after-hours. 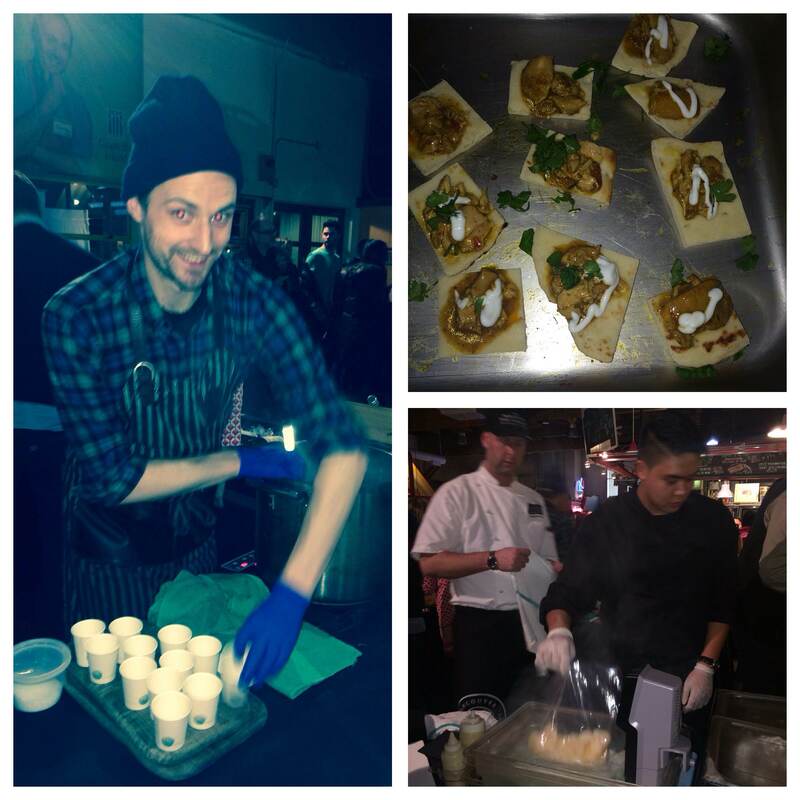 On January 15, we were invited to experience The Grand Tasting as part of Dine Out Vancouver. 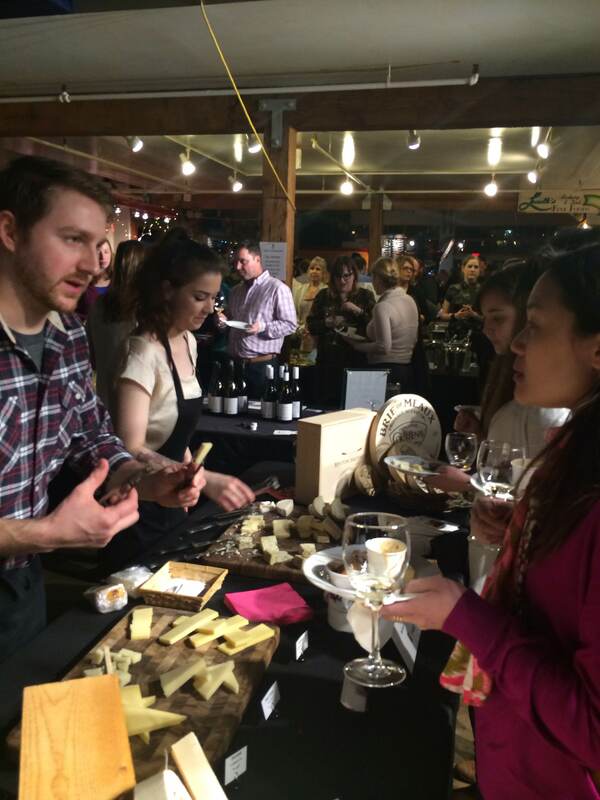 This magical night had everything you can imagine- wine tastings from local BC wineries, tons of popup food stations with chefs preparing bit size canapés, a Terra Bread station with every type of loaf you can imagine, a Benton Brothers cheese station and so much more. As guests walked into the dimly lit Market after hours, they were handed a wine glass with a plate attached to it, making it very easy to load up and taste. Tables of wine bottles filled the space with experts and some owners pouring their VQA wines and sharing stories with guests. In some cases like with Howling Bluff, brand new releases were opened to try- like their Pinot Noir which will be available for public on May 1. 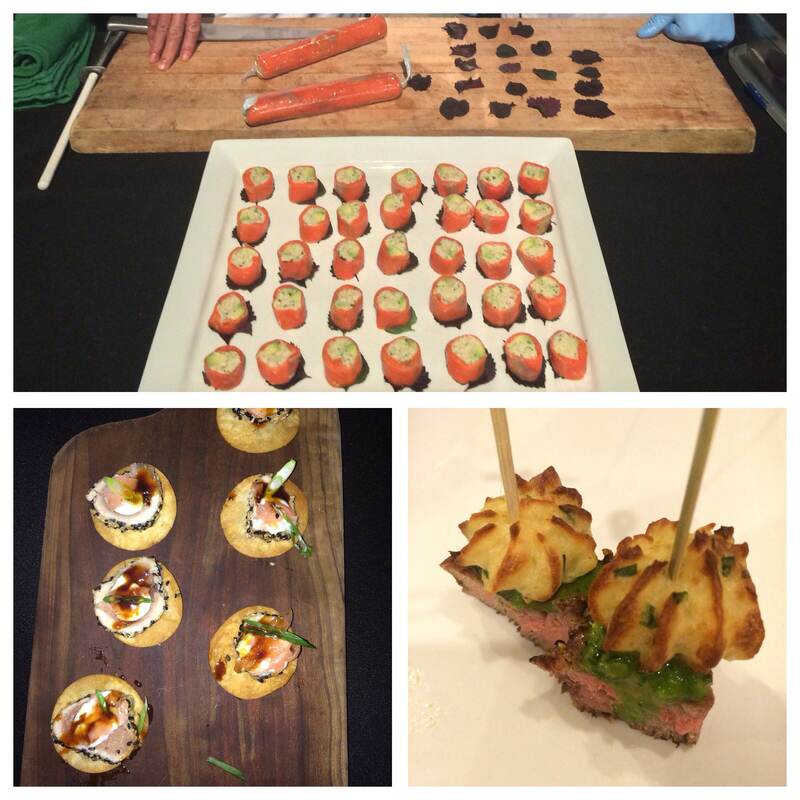 The restaurants of Granville Island showed up with perfectly crafted canapés for guests to pair with their wines. 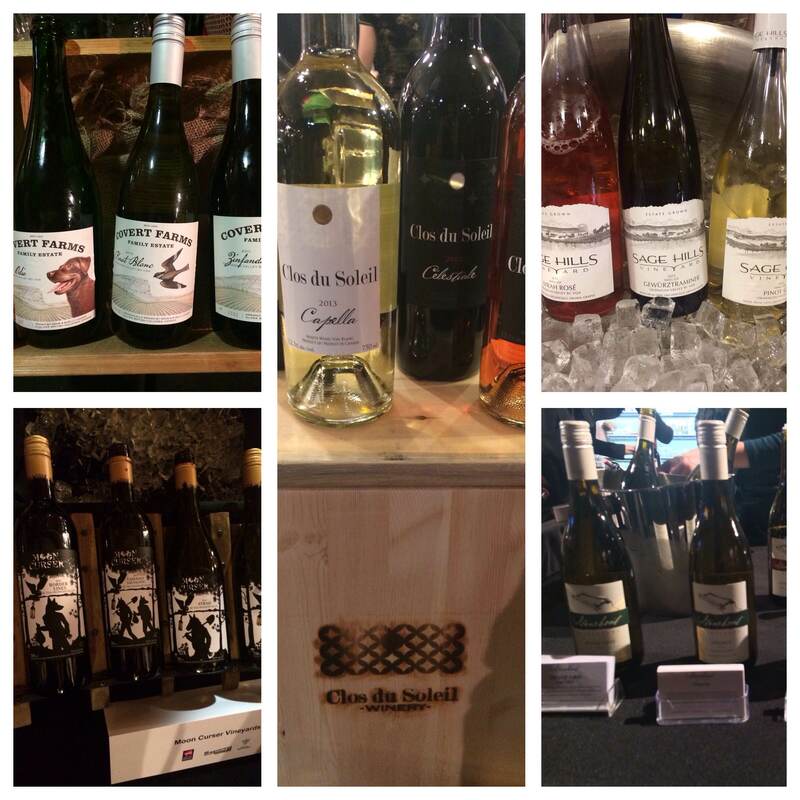 Also, 3 wineries at the Grand Tasting had big news for us! TIME Estate Winery (Oliver), Sage Hills (Summerland) and Clos du Soleil (Keremeos) will all be opening up brand new tasting rooms this summer. Dine Out Vancouver will be happening now until February 1 at over 250 local restaurants. Have you made your reservation yet?